A woman who felt empty most of her life finds a lasting peace and now is sharing it with others. Sylvia Falcon has traveled to India and Nepal to reach more lost souls with the gospel message. 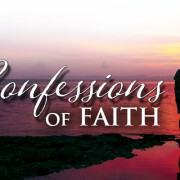 She is on a continual quest to share the peace she has found from studying the Bible. She wants others who feel empty to learn about God’s full forgiveness and sure promise of heaven. Before reading the Bible, Falcon spent years of her life searching for an answer to her spiritual questions. “I’d always known there was something; I just didn’t know what it was or where it was,” she explains. Falcon was born in El Paso, Texas, the fourth of six children. She spent the first ten years of her life, however, directly across the border in Juarez, Mexico. In addition, Falcon’s grandmother was a devout Catholic. Along with attending church, her grandmother and mother held to many of the traditions that are tied to the Catholic Church in Latin America. When she brought up the idea of reading the Bible to others, such as her mother and grandmother, Falcon learned they felt reading the Bible was an activity only for those who were worthy enough, such as priests. When she was ten years old, Falcon moved with her family back to El Paso. She joined the Air Force at the age of 20. She also married an atheist who at one time had been a Catholic. During her marriage, Falcon was discouraged from going to church. The marriage ended, however, and Falcon started looking for a church. She tried going back to the Catholic Church but also spent time in the Mormon church, the Presbyterian church, a Nazarene church, and with a Seventh Day Adventist group. But she couldn’t find anything that offered lasting peace. While she was in her 30s, Falcon worked at a VA clinic in El Paso. One day, “a lady passed out in front of me,” Falcon recalls. Falcon was so shocked at the sight that she didn’t attempt to help. She watched doctors and nurses tend to the woman. At the time, Falcon was discouraged at not being able to find answers in any church, so she passed on the invitation. But the woman continued to encourage Falcon to come. “Finally, after about six months, I said, ‘Fine, if I go to church will you stop inviting me?’ ” The lady agreed, and the two set a date. But Falcon was ready to be finished with the bargain. The lady, who was now becoming a friend, asked her to come again to church. On the following weekends, Falcon wasn’t in the area due to her military duties, but on the third Sunday after Easter, she came to the same church. Again, the sermon caught her attention. “It was a different kind of message,” she says. The third time she came to church, it was on her own accord. This time, she spoke to the pastor and agreed on a time to talk some more. Falcon was deeply moved, because she had never been able to find answers to her spiritual questions. Now someone was showing her what she had craved for so long. She still had questions, so she agreed to come and talk more. “I have a very scientific mind and like to have proof,” explains Falcon. After about two years of going through more questions and digging into God’s Word further, Falcon decided to take membership classes and was then confirmed. Learning about Jesus’ death and resurrection and the promise of heaven changed Falcon. “I went from being very angry and self-destructive to being a very happy and thankful person,” she says. After becoming a member at Christ our Redeemer, Falcon was asked to join the team at WELS Multi-Language Publications, which produces materials with the gospel message for countries around the world. Thinking of the chance to help more people learn what she had discovered, Falcon agreed. “I was extremely lost most of my life, and it makes me wonder how many people out there are like me,” she says. Today, Falcon serves as the digital publications coordinator at Multi-Language Publications. She helps with the operations of AcademiaCristo.com, a site that offers free Christian resources in Spanish. She also works on other projects related to translating Christian materials into Spanish. Rachel Hartman and her husband, Missionary Michael Hartman, serve in Leon, Mexico.